The last of four shows will be at Halifax Minster on March 9th. There is promotional film about the play and the battle itself here. 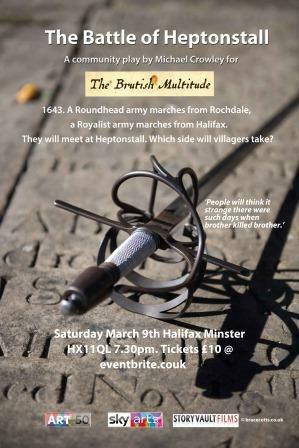 This entry was posted in Events, Mar and tagged Halifax Minster, Heptonstall.